Complete shell-off renovation. King bed, storage, all electric, tiled shower and backsplash, Cork flooring. Now complete, this 1968 Airstream Ambassador is ready for new adventures! At 28 ft long, this beauty is perfect for a family or for the adventurous couple. With seating for 4 and plenty of sleeping arrangements also. A mirror shine makes this 50 year old trailer look new. Custom shower with teak shower mat, original cabinetry updated with paint, Maple countertops, vinyl plank flooring, and much more! 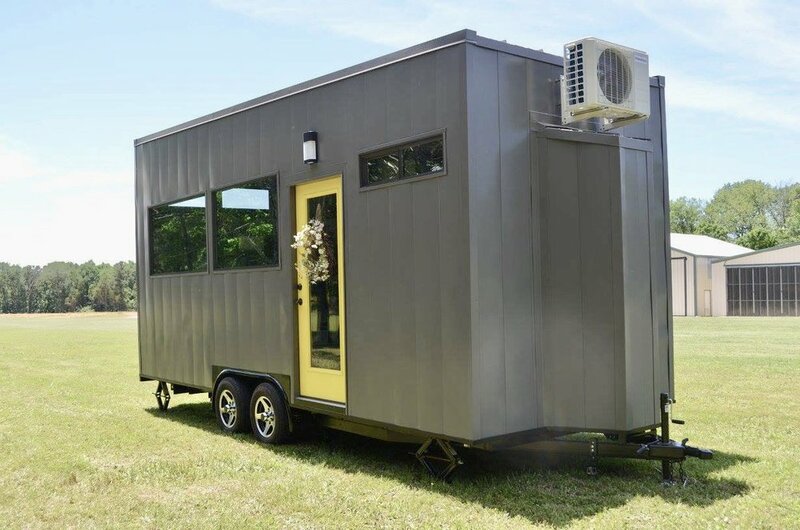 Custom 22ft Tiny House. 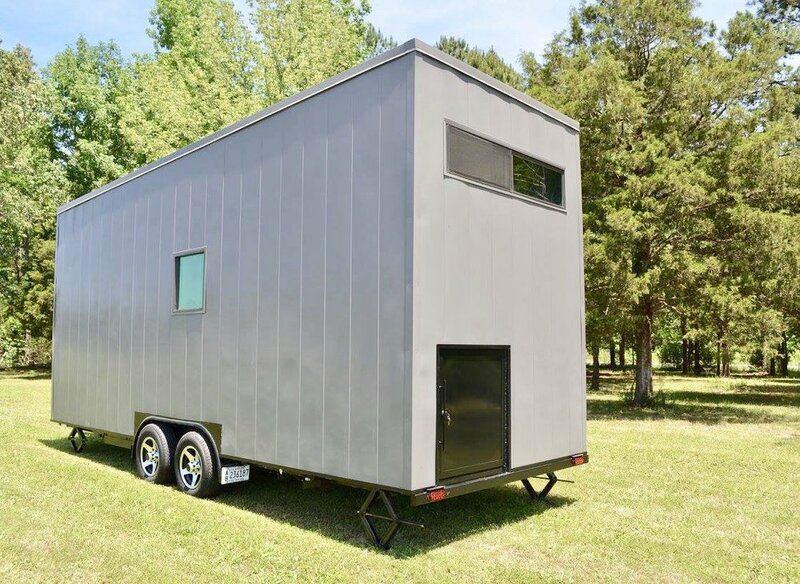 Started with a 20ft utility trailer. 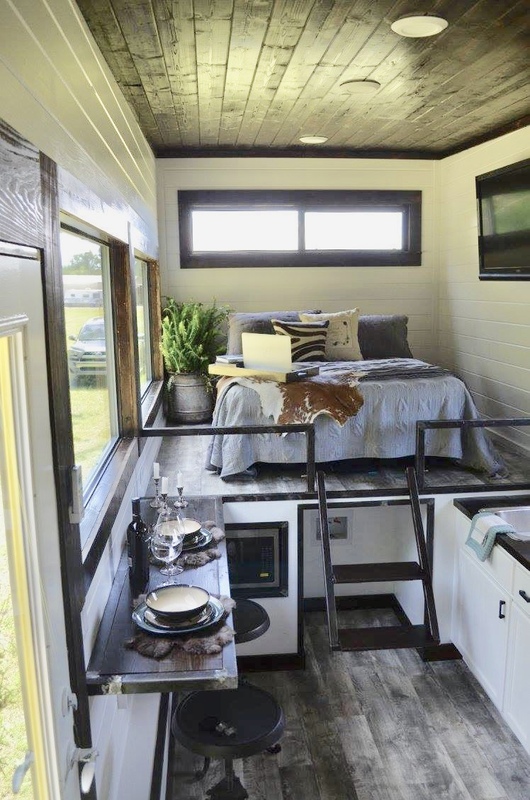 With a sleek, modern exterior this tiny house had ample storage and lots of luxury in a small space. Storage “room” underneath the bed platform accessed from the rear. Commercial metal interlocking siding. 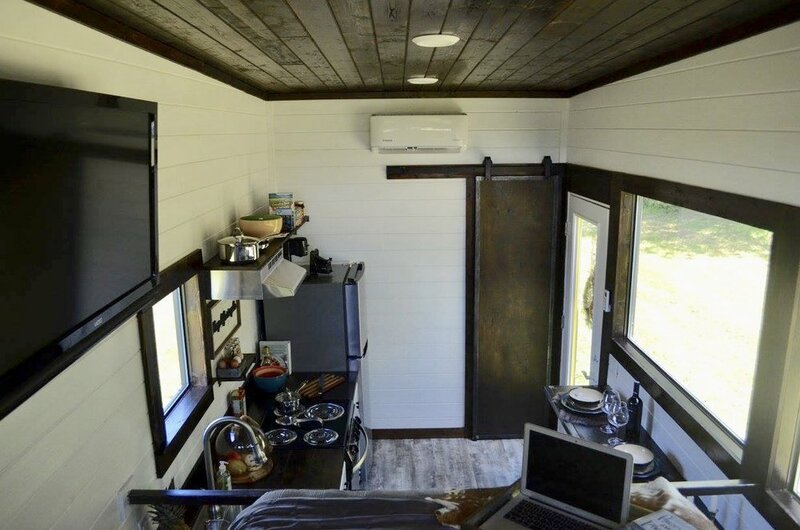 This tiny house is a AirBnB in Livingston Manor, NY.